In this edition of ‘Take One’ the ‘rock room’ examines a George Harrison composition that ended up being released two times in it’s lifetime and still remains a repressed piece in the Harrison discography. The song ‘Try Some, Buy Some’ is a unique track with an impressive cast of players and a somewhat checkered past. 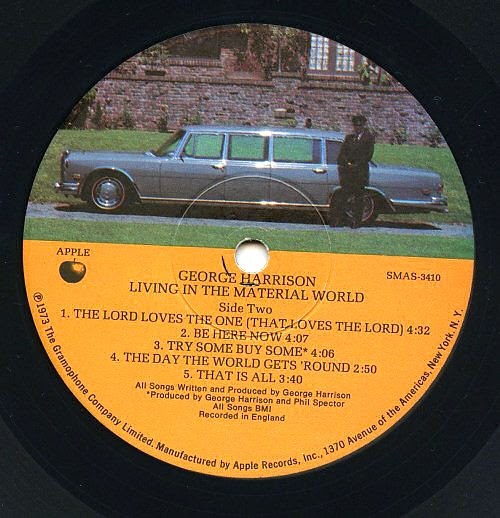 The song was originally released as a single by Ronnie Spector of Ronettes fame in 1971 and later placed as an album track on side two of Harrison’s 1973 LP Living In the Material World. The tune contains a suspenseful intensity and musical complexity, partly due to the fact that Harrison wrote the song on the organ, a rare occurrence according to his1979 biography. With assistance from bassist and long time friend Klaus Voormann Harrison developed the organically grandiose and complicated arrangement. The song was composed during the sessions for Harrison’s 1971 album All Things Must Pass; but due to the obvious wealth of material for that collection it fell into consideration for Ronnie Spector’s 1971 ‘come back’ album. Harrison donated to Phil and Ronnie Spector ‘Try Some Buy Some’ as well as his song ‘You’ for Ronnie’s solo recording; both songs would later be re-released by George Harrison. Spector’s 7' version of ‘Try Some Buy Some’ is artistically stunning; unfortunately commercially, it did nothing of note. Phil Spector’s usual heavy handed production values increase the shifty and claustrophobic peer pressure of the internal melody considerably. Descending, foreboding and lush, so goes the Spector 'wall of sound. Phil's imposing arrangement rumbles like an action movie soundtrack. A waterfall whitewash of Spector dramatics. Harrison’s awareness that the song deserved another chance is illustrated by its later inclusion on Living In the Material World. Harrison must have felt something stirring in the songs depths. The songs message was consistent with the themes of Harrison’s early post-Beatles work. The track deals with the concepts of the material world vs spiritual world as well as the universal battle through these dualities. Lyrically Harrison’s spiritual development, personal regret and weakness in the face of his Lord is expressed through the song as well as being laced through all of his songwriting. The ‘you’ in ‘Try Some, Buy Some’ represents Harrison’s woman love of a pop world, but also a ‘universal’ ‘you’ in a larger sense of existence. The opposing ideals of bring 'holy' in a world drowned in consumerism while swimming in temptation is played out in very straight forward and simple lines. Harrison echoed this sentiment in the liner notes of the album’s deluxe edition where he stated that, ‘Even though the words are mundane, if the attitude is directed back at the source then it becomes more spiritual for me and has more meaning’. The song crawls over a thin becoming thick waltz time while Rubik's cubing through its escalator changes. 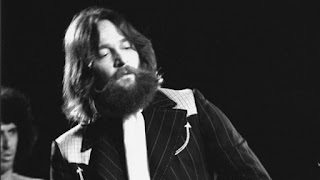 The band appearing on the instrumental backing which was used for both the Spector and Harrison’s versions respectively is Leon Russell (Piano), Jim Gordon (Drums), Gary Wright (Electric Piano), Klaus Voormann (Bass) and Pete Ham (Acoustic Guitar). Troubled genius Phil Spector’s talents are tangible, building to a quaking climax that stirs the musical nerves through perfectly developed sonic massaging. The band emits the aesthetics of Harrison's All Things Must Pass, playing attentive and detailed music that magnifies Harrison's melody with tight professional expressions. A choppy and slightly disturbing verse alternates with a swelling helium dream chorus, all the while drifting through addictive and lustrous choral blooms. It's a trip. While the original backing track was unchanged between the Harrison vocal version and Ronnie Spector’s, the mixes made of each version differ in various ways. 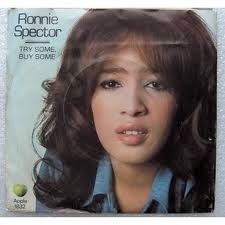 Ronnie Spector sings the song beautifully but tentatively. Harrison approach elongates the lines, while standing on his tip toes to reach his upper range. There is no questioning his vocal investment which increases the intensity and anxiety already inherent in the track. Both vocal versions expose different strengths of the song, while Spector’s arrangement glorifies and frames both of his 'artists' equally. Years later David Bowie revealed his love and respect for the track with a cover version on his 2003 Reality album. Bowie obviously realized the odd addictiveness of the song and wanted to give it another proper airing with his always unique approach. Bowie’s vocal gave the melody another personality facet as his rich throat shined another weird light on the tune. Ronnie Spector’s 1971 single and George Harrison’s 1973 LP track ‘Try Some, Buy Some’ is an example of a stunning song that had a hard time finding an established home. 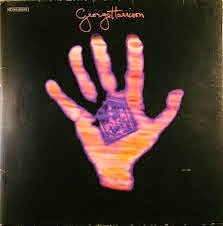 It’s appealing qualities enabled its longevity with Spector, George Harrison and David Bowie all translating its melody in unique ways. John Lennon was even inspired to write his own ‘#9 Dream’ by ‘Try Some, Buy Some’s’ exclusive coloring and shadings. It's a song that's earned itself another deserving spin.